My New Year’s resolution this year is to read more. Can I tell you how much I’m enjoying it? I’ve read nine books so far in 2019 and I get such a kick out of pinning a new one to this Pinterest board when I’m done. It’s the first thing I do after I’ve finished that last page. I saw this book on a list of books about Kansas and recognized the title as the translation of my state’s motto: Ad Astra per Aspera. What made me want to read it though was that the plot revolves around a Carnegie library. Andrew Carnegie donated money to build over 2500 public libraries between 1883 and 1929, including 59 in Kansas, but it was the women of that time who did the fundraising to fill the libraries with books. To the Stars Through Difficulties tells the story of how one of these libraries came to be in the fictional town of New Hope, Kansas, along with a second set of events taking place in the current day as three very different women arrive in town and become involved with the library, which by now has been turned into a struggling arts center. The book opens with the main character, Lo, a travel writer, suffering a traumatic experience. The next day she boards a luxury yacht for a work trip, where she witnesses a murder that no one else on board has seen or seemingly believes has happened. She spends the rest of the book trying to solve the mystery while figuring out who can be trusted and who cannot. Several reviews compared the book to an Agatha Christie novel. Another reviewer described it as claustrophobic, and I agree: Lo’s situation got intense in parts. Like any good mystery, however, it kept me turning pages. My book club read this book and it resulted in a lively discussion. 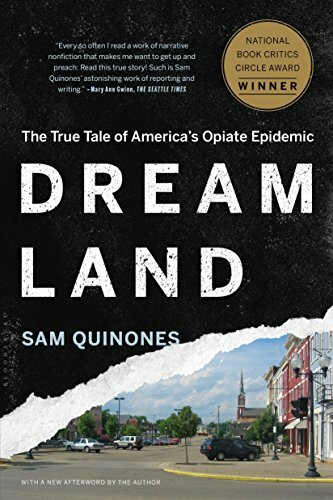 Dreamland: The True Tale of America’s Opiate Epidemic by Sam Quinones. Dreamland tells the story of how Purdue Pharma’s aggressive marketing of OxyContin, along with several small Mexican drug rings’ ingenious distribution system of black tar heroin, combined to create the opioid epidemic that is currently decimating our country. Written by a journalist, the book is well-sourced and interesting; I found the part about the heroin distribution system to be especially fascinating, if heartbreaking. One criticism that others have had of the book, which I share, is that it’s too long and unnecessarily repetitive. I’m glad I read it, but I wish I’d known I could have put it down about three-quarters of the way through while still getting the main themes of the story. Written 25 years ago, this modern-day fable is still widely-read, so I was glad when one of our book club members chose it as her pick. It tells the story of Santiago, a Spanish shepherd boy, who has a dream about finding treasure at the Pyramids. Santiago’s subsequent conversations with a fortune teller and a king cause him to embark on a life-changing quest to follow that dream. I loved the story, although I found the ending somewhat unsatisfying. Am I allowed to say that about a classic? I was alone among my book club friends in that opinion, however. This memoir is popping up everywhere and it’s no surprise as the story is so compelling. The author is the daughter of survivalists and was raised on a mountain in Idaho, without the benefit of schooling or traditional medical care (her mother is a midwife and herbalist). Against all odds, and with the help of her brother, she is able to go to college and then goes on to attend Harvard and get her PhD from Cambridge. This story is not easy to read; Tara’s upbringing, including her relationship with a violent brother, was traumatic. I also found myself researching her family after I was done reading, which left me with more questions than answers. There’s a lot here to consider and discuss. 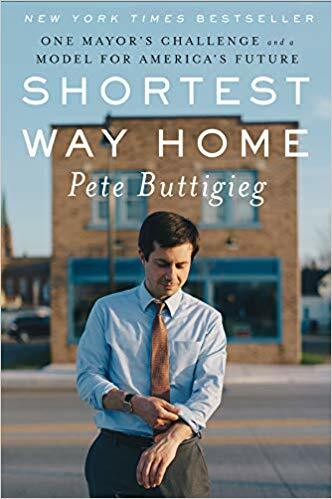 Pete Buttigieg was 29 when he was elected mayor of his native South Bend, Indiana. Four years later he was re-elected with 80% of the vote just after he had just come out as gay. He’s a graduate of Harvard, a Rhodes Scholar, and a former Naval intelligence officer who served in Afghanistan. He speaks eight languages (including Norwegian, which he taught himself so he could read books by an author he liked) and he plays the piano well enough to have performed with Ben Folds and the South Bend Symphony Orchestra. In short, he’s a pretty interesting guy. He’s also running for President and what many considered an extreme longshot candidacy is getting a surprising amount of traction and attention. Of all the ground this book covered, I found the ‘Governing’ section, about South Bend and the challenges it faces as an industrial Midwestern city, to be especially interesting. This is a book that I wouldn’t have picked up on my own, but it’s one of our book club’s picks for this year and I found myself enjoying it. It takes place in 1920s and 30s New York and each chapter covers a different scientific element – arsenic, chloroform, radium, etc. – that scientists were discovering and learning how to identify in human bodies after their deaths during that time. 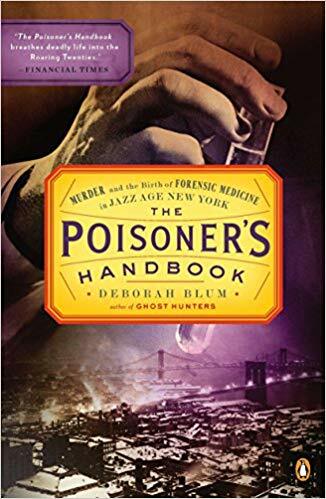 The book mixes the science of those discoveries (full disclosure: I skimmed a lot of those parts) with stories about the murders by poisoning that seemed to be fairly commonplace at the time. One aspect of this book that I especially liked was how the long-suffering but dedicated Chief Medical Examiner of New York City and his top colleague are the heroes of this story. 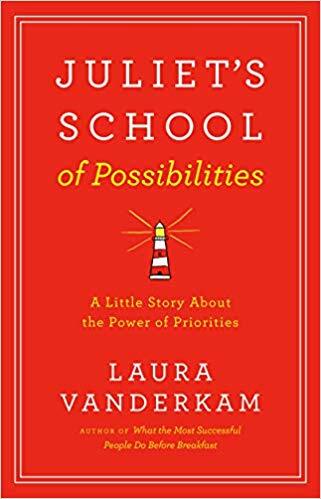 Laura Vanderkam is a time management and productivity expert who has written several non-fiction books on those topics. 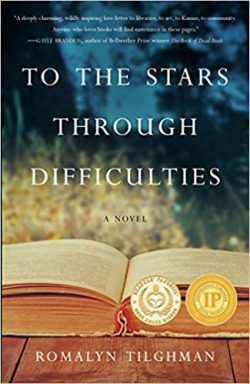 This book tackles the same subject, but in story form, which intrigued me enough to want to read it even though the subject matter is not usually something I’m interested in. 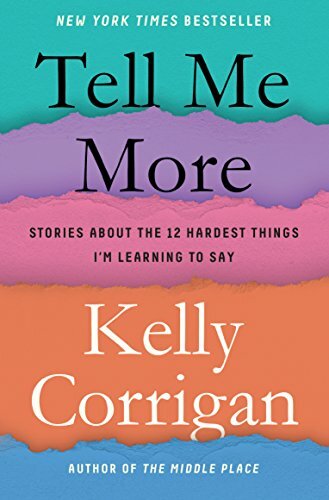 The book is a short (144 pages), enjoyable read about Riley, an overworked consultant in her late 20’s, who has reached crisis points in both her career and her personal life. She reluctantly agrees to attend a retreat run by Juliet, a successful businesswoman who takes Riley under her wing to teach her that “Expectations are infinite. Time is finite. You are always choosing. Choose well.” The book really just makes that one point, but it makes it in a fun way. Have you read anything good lately? I’d love to hear! P.S. 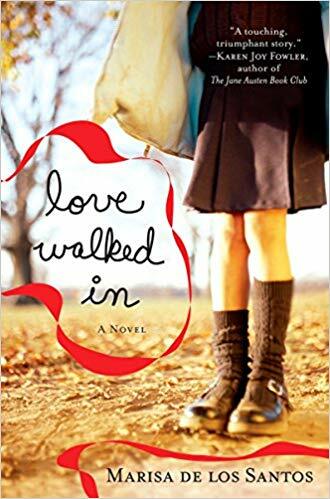 Here are a few of Amazon’s Kindle Deals that caught my eye. They’re at great prices right now, but that’s subject to change. 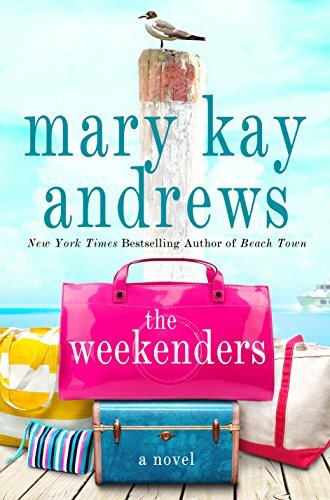 Mary Kay’s books are always fun summer reads. 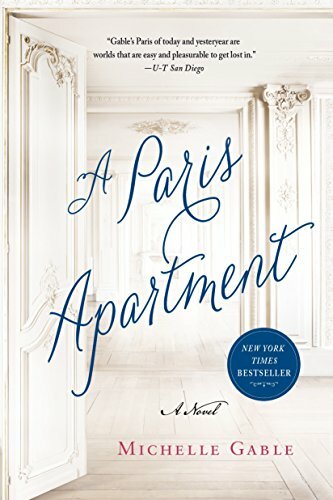 A novel inspired by the real-life story of the discovery of a Parisian apartment that had been untouched for 70 years. I read this thriller when it came out and really liked it. Scroll up to see my review. I read Belong to Me by the same author and loved it. 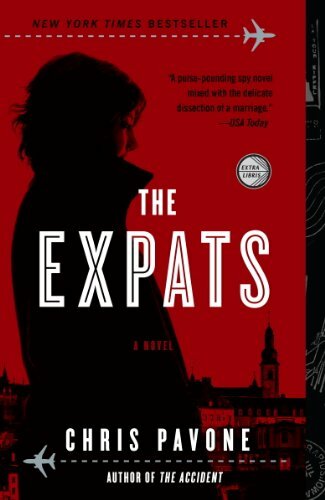 This book, with the same main character, came first and is on my to-read list. Note: This post contains Amazon affiliate links, which means if you click on a link and make a purchase, I will receive a small commission at no additional cost to you. 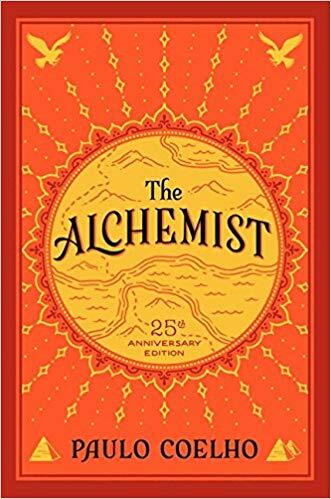 I read The Alchemist years ago (not 25, maybe 10?) and I had the exact same feeling at the end. I felt kind of bad since people I knew found it so enlightening. I just slogged thru The Price of Justice about legal issues surrounding Don Blankenship and his mining company. It was fantastically detailed (though that’s what made it long), but it felt like homework almost. This was my book club book and one of our members is from WV and her husband a Mining Engineer. She didn’t read it, but made her husband. 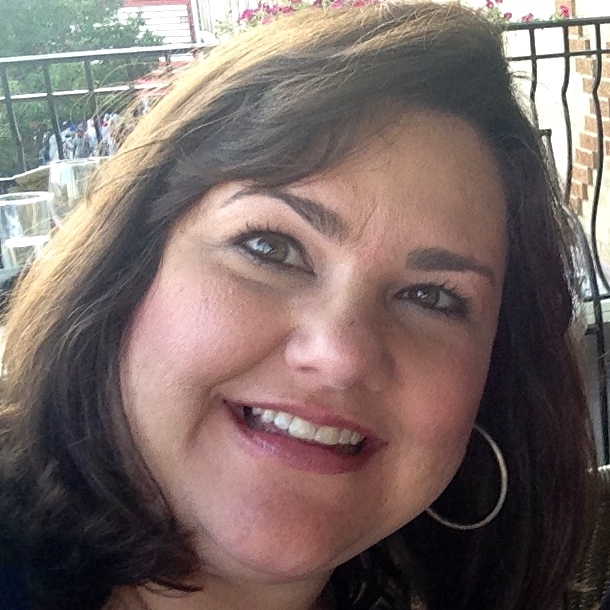 Her insights as a WV native (and his relayed comments) made it interesting to discuss. 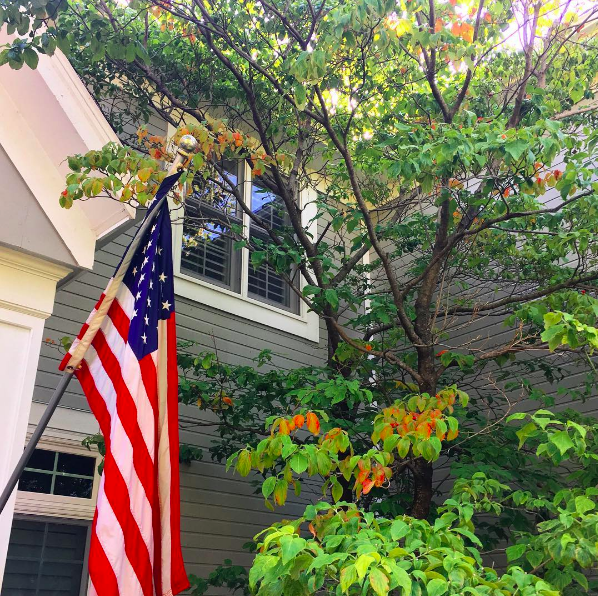 Blankenship has had a colorful (?) history since the book was published and ran in the GOP Primary for Senator in ’18 (he lost). He had one of the most outrageous ads that all the networks covered. I’m headed to FL for a week and am looking forward to something a little different! I think I’ll read My Oxford Year by Julie Whelan. Eileen, I am so happy to know that someone else felt the same way about the ending of The Alchemist. I even had a pretty unpopular opinion about which woman I thought Santiago would end up with. I have never heard of The Price of Justice but I’ll be on the lookout for it now. And My Oxford Year sounds interesting! I’m not sure I’d recommend The Price of Justice! It’s very long and detailed. I feel like if you were a lawyer or familiar with the mining industry, all the the effort and detail in the book would be appreciated much more! It DOES shine a light on the “price” some can and will pay to have ” justice” work out the way they want. Blankenship spent 2 mil to the campaign of someone to replace a WV Supreme Court justice he felt would not rule favorably for him when his case was already on the appeal track. He was successful. A bit disheartening. I LOVED “The Extraordinary Life of Sam Hell”-not just a book about a boy who endured bullying by both kids and adults because of a rare eye condition, but it is also a lovely story about faith and how everyone wants to feel accepted, loved , and meaningful. Wonderful!!! I am reading “An Anonymous Girl” which I am also really liking-lots of twists and intrigue. I read “Lilac Girls” and found it draggy and slow at the beginning, but about half way in, it seemed to get more interesting and connected, with the ending rather good. I would say I had mixed feelings about it. I finished “Sold on Monday” about the Depression when parents would sell their children because they could no longer afford to feed them, and what happens when a newspaper man takes the picture of some of these children. A good read. I finished “Road to Ruin” and did not care for it. The style of writing was jerky, disconnected, and unsettling. Only the last 1/4 of the book became more connected, and more interesting. A hard read. I would not recommend it. Our return to winter temperatures here in Kansas City/Overland Park, certainly lends itself to reading time!!! However, I would rather be reading in spring warm temperatures, outside!!!! Come on Spring….come back and give us a warm Easter!!! So many great titles in this comment, Nancee. Sold On Monday reminds me a little bit of The Orphan Train. Heartbreaking stuff. Surely Spring temps will be back soon for us. At least it’s sunny. Great list! 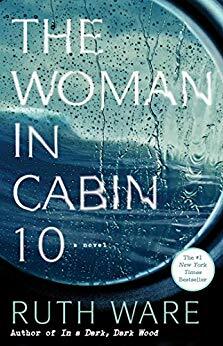 I also read The Girl in Cabin 10 and found it creepy (claustrophobic is a good description) but compelling. I could not put it down. 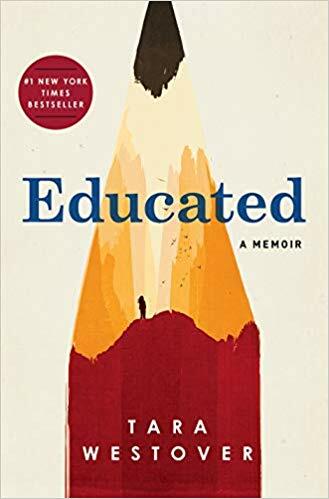 I also read Educated and found it a tough but very worthwhile read. The obstacles she overcame seemed impossible, but she just kept on. You never really know how many challenges someone may have. My favorite book group is reading Frankenstein. We always try to read one “classic” and I’m really looking forward to this. Janet, our book club read Frankenstein last year but it was a book I skipped. My daughter says it’s one of her favorite books ever. Let me know how you like it. Julie.. great reviews. I met Kelly Corrigan and you can’t help but love her. She is so warm and friendly. Don’t you love Kindle Deals? I bought a lot thru them. Enjoy your weekend!! That’s so great you got to meet Kelly. I can only imagine how engaging she is in person.